While many fans debate the year of 2003, a contingent of the community writes off 2004 all together. I am here to tell a different story. 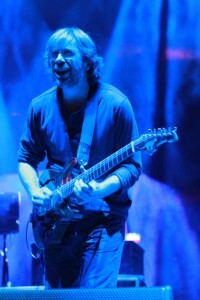 The year’s opening shows in Vegas were a complete trainwreck with only a few jams of interest, and it was after these nights in Sin City that Trey announced the band’s “retirement.” It is my theory that with this announcement, the pressure of Phish—and everything that came with it—was lifted off the guys’ shoulders and minds, thus when they took to the road for a short June tour, they saw the light at the end of the tunnel and played their hearts out. Brooklyn, SPAC, Deer Creek and Alpine—two at each—and more than a few highlights to speak of, including two of the band’s most impressive post-hiatus performances in Saratoga Springs. Then, in August, the band took their final run from Hampton to Great Woods to Camden and up to Coventry, Vermont. And despite the debacle of the festival, there are jams within this final run that deserve recognition. 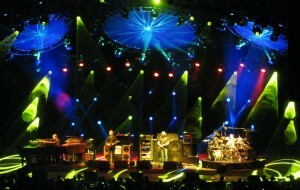 This version kicked off the final set at Deer Creek until Summer 2009. 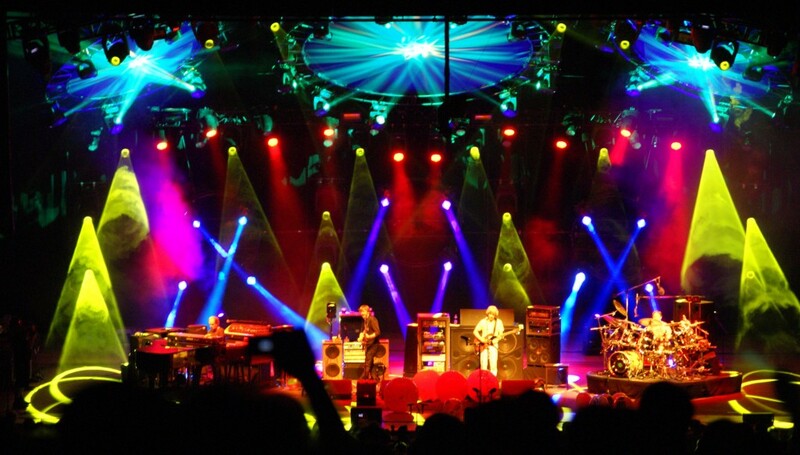 This jam—the most impressive from SPAC’s second night—was part of a seamless four-song masterpiece. An exploratory piece of psychedelia laced with unconventional groove. This exceptional and out-of-left field song pairing opened the final set at Great Woods until 2009. A smoking sequence. 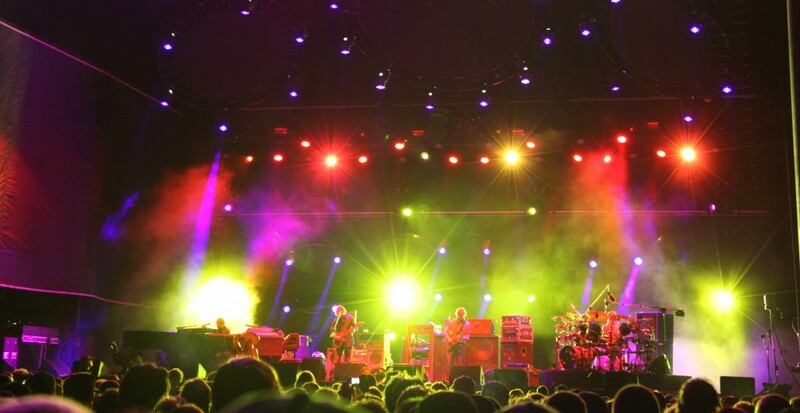 Phish exploded in groove on the final night of June’s short tour. One of my favorite jams. Period. This “46 Days” was the centerpiece jam of the opening night of tour from Keyspan Park. Many fans watched this show at movie theatres across the nation. A standout jam from Coventry? Yup. 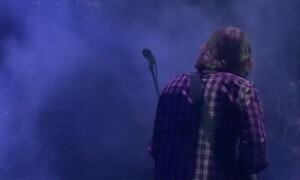 A tripped out final outing for “Scents” drenched in layered loops and drone effects finalized Phish’s amphitheatre tour, closing out the second set at Camden. Only Coventry remained. For this Friday’s playlist, we rewind to the often-debated “post-hiatus” era. Regardless of what side of that fence you come down on, I’m sure all can appreciate these gems from 2003. Featuring a grittier, uncompressed guitar tone and uncompromising dives into experimental and psychedelic playing, Phish took things deep during their second go-round. While some jams wound up more focused than others, I hope these selections can be appreciated by fans of any era. Enjoy the distinct, “post-hiatus” sound on this winter weekend! And check out the book offer below. This monstrous jam emerged on the first night of winter tour ’03, restoring some faith after a less-than-impressive comeback run at MSG and Hampton. This gooey “Wolfman’s” jam merged with the debut of “Scents” in the desert on the opening night of Summer ’03. The defining jam of the first New Year’s Run in Miami. A harrowing exploration that I missed for a high school friend’s wedding. The wedding sucked and I haven’t seen the guy since. Fail. The centerpiece of night two in Deer Creek, and probably the most lasting piece of the run. This jam provided one of few highlights of a rather uninspired Thanksgiving run. What’s happened to the occasional “Ya Mar” jam? Some, like this one from IT, used to go deep. 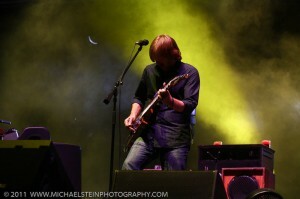 Phish oozes out of “Suzy” into seething jam that centers on a darkly-spiritual guitar showcase by Trey. Just when Phish was beginning to break down improvisational barriers with “Harry Hood” (see Camden ’03 also), they called in quits in ’04. Get a Signed Book Now! 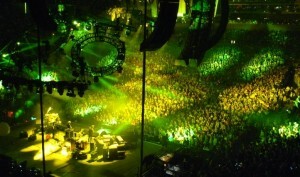 Phish had a phenomenal 2011. There is no question about it. Playing creative shows and jamming on a level unseen in this era, the band raised the bar for themselves moving forward. But apart from their playing—the obviously most important part— there are some aspects of their live show that could use a little polish. 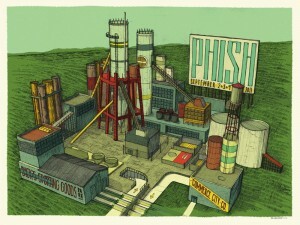 With some attention to the following departments, I believe Phish shows can elevate on a more consistent basis in 2012. When “Light,” “Down With Disease,” “Rock and Roll” or “Piper” starts, everyone knows that we are almost guaranteed an exploratory jaunt. In fact, these songs comprised seven of my Top Ten jams of the year. 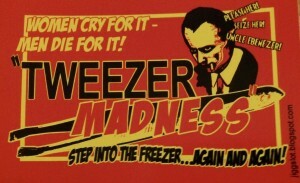 At the same time, we all know—at this point—that when many other songs start, we are destined for a contained jam (or none at all), with “Tweezer” and “Carini” being two of the few songs that can still move in either direction. 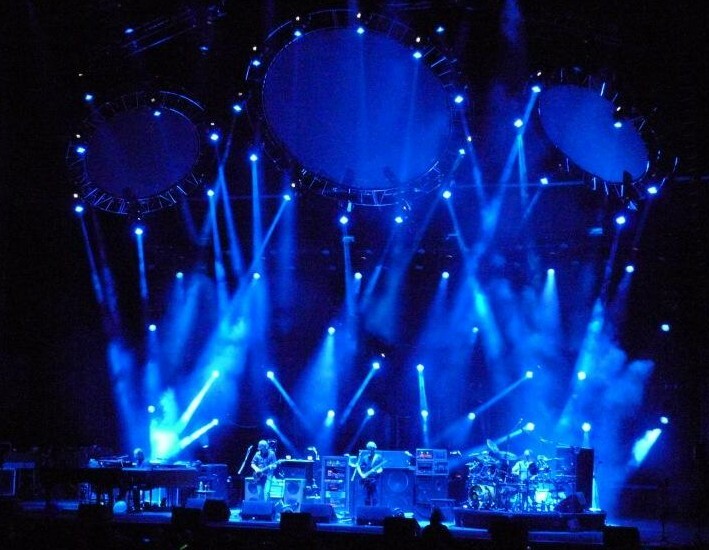 As a result, the element of improvisational surprise has largely been erased from Phish shows. 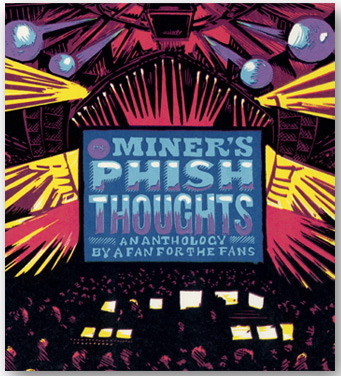 Because 2012 seems like it will be a light touring year, it feels relatively unlikely that we will see a host of new material infused into Phish shows. But in their fourth year of the modern era, the band sorely needs a new batch of songs. 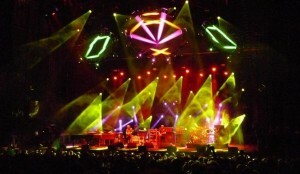 Having thoroughly played through their 2009 album Joy during the last three years, 3.0 Phish needs some more originals. If this is truly about moving forward, let’s keep moving. 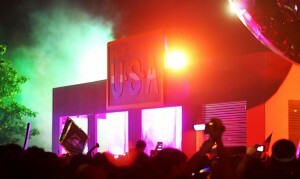 “Steam” represented the sole debut of 2011, a song that holds huge potential. But the rumors of a new Phish album have faded into the background. When the band dropped into “Steam’s” debut in Blossom’s second set, there came with it a freshness; this was Phish in the here and now. We were hearing a sick new music for the first time ever—it was exciting! It would behoove the band to roll out some more originals—including brand new jam vehicles—and bring a whole new element of excitement to their shows. In addition to new material, the band really needs to bring two of their most open-ended jams back to prominence—“Tweezer” and “Ghost.” While Phish did throw down two excellent versions of “Tweezer” last year in Denver and Cincinnati, “Ghost” all but vanished from the scene with only one standout rendition in Charlotte. These two songs have traditionally been two of Phish’s most significant and exploratory jams; pieces that could go anywhere and would. And still, each time either of these songs started last year, that was the feeling I got. But aside from these three aforementioned examples—and they were spectacular—Phish never crafted a truly memorable jam out of either. Two of the band’s heaviest hitters should be highlights almost every time out of the gate, but neither has remained as consistent as in the past. The return of these two improvisational behemoths could greatly bolster any show they appear in. 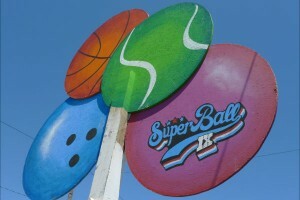 After playing a standout late-night set at Super Ball, Phish began to integrate this abstract, often Theremin-laced, style of improvisation into their live shows. As a result, some of the most original and groundbreaking jams took place during the second leg of Summer Tour. 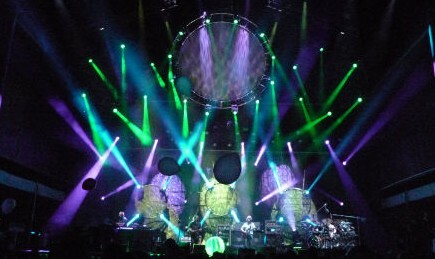 Hopefully, Phish will continue to explore this style of jamming during 2012. As in every era in their history, Phish may have found their newest “sound” within these abstract, psychedelic soundscapes. And as they continue to explore this style, nuances and tangential approaches will no doubt develop. “Storage jamming” represented Phish moving forward last year, as one would only hope that this innovative approach is built upon in the year to come. Though Phish, far more often than not, threw down shows that flowed quite well last year, they also were prone to some boneheaded calls. 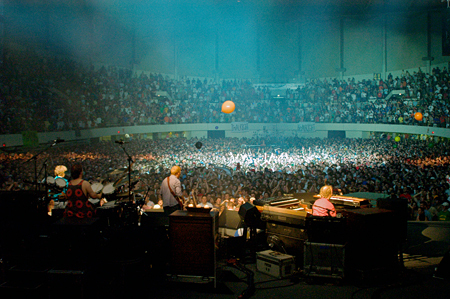 For a band leader who, self-admittedly, used to pore over setlists for hours upon hours perfecting the way the show moved from beginning to end, Trey made some questionable off the cuff decisions during 2011. There are two separate—and minor—issues here: the abrupt ending, or cutting off, of jams, and song placement. Let’s look at the first. Two times last year, deepening “Tweezer” jams (Alpharetta and Super Ball) were cut off abruptly for mid-set versions of “Julius”—talk about deflating the sense of intrigue. 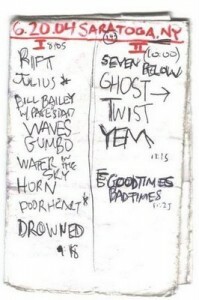 Two times “Ghost” got lopped before any sense of a jam really got going (PNC and UIC) in favor of more innocuous songs. Just on New Year’s Eve, when “Disease” settled out of its thematic rock and roll into a murky groove, Trey opted for the fade out. These types of instances were manifold last year, and most often it was Trey barging in with a new idea while his mates were still entrenched in a jam. And the irony of most of these occasions is that another thirty seconds of patience and communication could have allowed the band to merge the two songs with legitimate flow. Why does this continue to happen? I don’t think anyone will ever know. The second aspect that occasionally plagued sets last year was song placement. No offense to the big guy, of course, but in the case of the two aforementioned “Tweezers,” “Julius” just doesn’t belong in the middle of the second set. Nor does “Guyute” or “Theme” or “Alaska” for that matter, all of which were featured in prominent second set slots throughout the year. In my estimation, finite rockers and intricate compositions don’t make for mid-second set pieces—there is simply no mystery involved. Everyone knows exactly where the song is going. 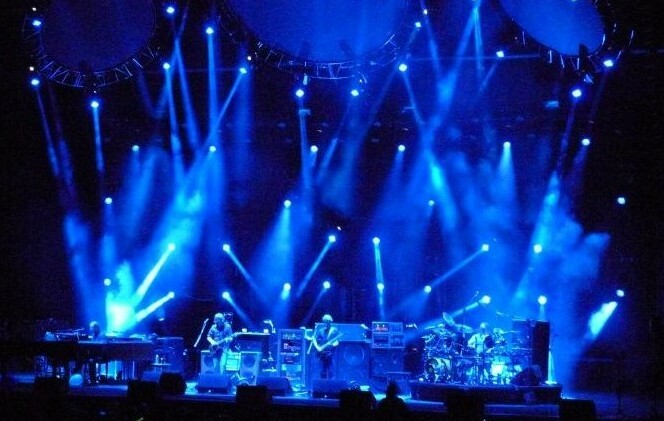 Phish’s most powerful second sets are largely composed of jam vehicles and show stoppers, with natural landing pads, exhales and ballads mixed in. Sure, there are song-based shows where this paradigm flies out the window, but in general, “Julius” works far better at the end of a set as a rocking denouement than wedged awkwardly in the middle. Compositions like “Fluffhead” and “My Friend, My Friend” both which found their way into the middle of second sets during 2011, work far better as a closer and an opener, respectively. And straightforward songs like “The Wedge” or “Alaska” work best in the first set, not the second. These observations seem obvious to me and many others, and thus when they happen live, they seem all the more absurd. (See “Alaska > Velvet Sea” on NYE.) 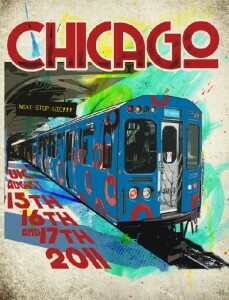 But alas, as I said to begin with, most shows of 2011 flowed quite nicely. As we wait for the dates of 2012, it seems like the proper time to reflect on the year that was. And though Phish played better in 2011 than either of the previous two years, there are always parts of the show that could be sharpened. If the creative jamming continues to flow, perhaps some of these elements will fall into place. Or perhaps they won’t. 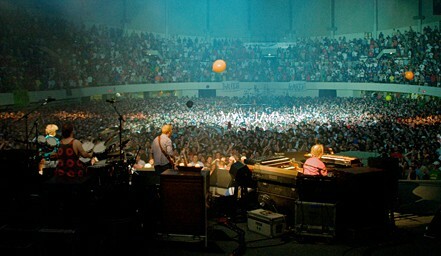 But that’s my wishlist for Phish 2012. This Friday’s playlist is composed of jams from a different era. 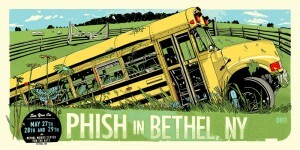 All of the songs featured today have taken a back seat during the modern era of Phish, but were once central jam vehicles. I decided to pluck stellar versions from 1998 to add cohesion to the selections. Enjoy the tunes today and through the weekend! One of the all-time classic versions that never gets old. The wide-open funk of the Gorge. A somewhat glossed-over version that came as the second song of UIC ’98. The opening jam of Deer Creek ’98. Might we be returning this summer? 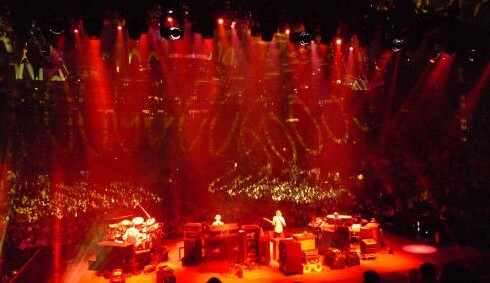 A crunchy first-set beast from UIC ’98; an instant classic. Another quintessential piece of Summer ’98 from Polaris. One of the lesser discussed shows of Fall ’98—Greenville, South Carolina—had plenty to talk about. Amidst the many rumors spiraling through cyberspace regarding Phish’s 2012 touring plans, two have taken hold and seem to have some legs. Coincidentally, the two stands that seem to be materializing are located in each coast’s gambling mecca—Las Vegas and Atlantic City. Each of the rumors have been semi-corroborated by a Las Vegas newspaper reporter and Atlantic City’s mayor, giving them a bit more substance than your everyday Internet hearsay. Since both are seeming somewhat likely at this point in time, let’s take a closer look at the buzz. 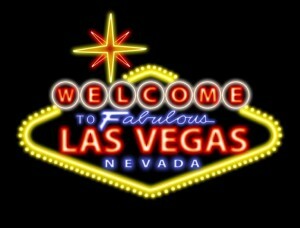 LAS VEGAS: March 30 – April 1 ?? 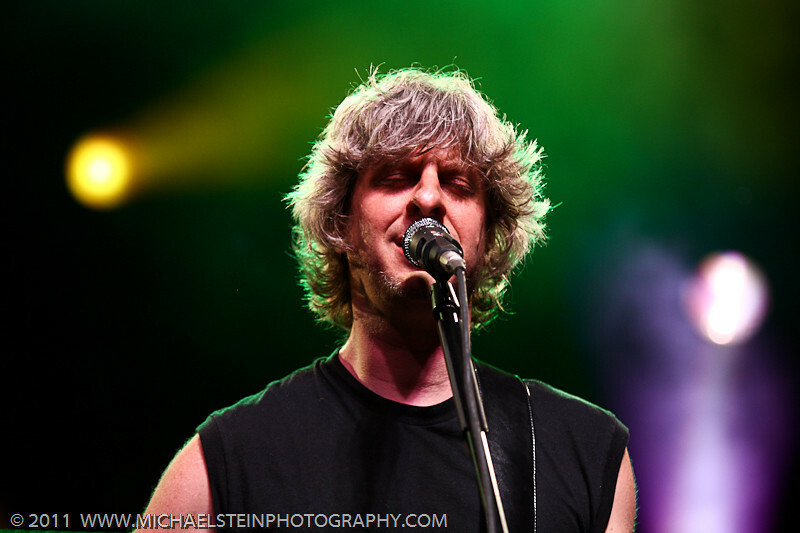 Phish only played on April Fool’s Day in their early years, the last time coming in Portland, Oregon in 1993. If this strongly rumored run goes down, this would mark the first time in 19 years that the band would perform on this made-for-Phish, prankster holiday. Just yesterday, Las Vegas Sun columnist, J. Patrick Coolican tweeted, “Phish fans: Source sez negotiations for a 2/3 nite VEGAS run APRIL FOOLS DAY have taken new intensity. 80-20 likely, sez source.” This tweet aligns with what I have been hearing from multiple sources, thus a return to the Thomas and Mack Center seems like a distinct possibility. While I am always down for Vegas Phish, the timing on this stand seems a bit quirky. 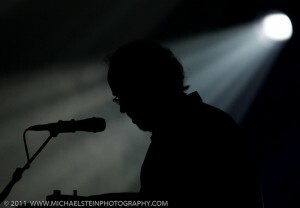 Mike is playing with his solo band at Jam in the Dam in mid-March and then playing another date in London on March 18. Trey will be focused on his symphony tour until March 10th. These two factors alone, regardless of what Page and Fish are doing during, would preclude much practice time before the first show on March 30th. Could they pull it off with but a ten-day buffer? Of course. 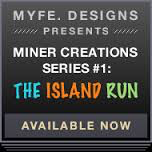 Might the run turnout straightforward and contained as a result of the time crunch? Quite Possibly. It seems like latter-day Phish benefits from practice even more so than in previous eras, as their lives are diversified more than ever. These Vegas shows would be just the 5th, 6th, and 7th,performances since Labor Day 2010, and practice would seem more necessary than usual. We shall see what develops. 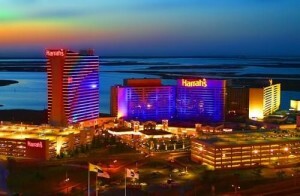 ATLANTIC CITY: June 15 – 17 ?? While Phish headlining at Bonnaroo is another rumor that has been circulating with strength, this three-day Atlantic City run would represent a Phish-only “festival” at Bader Field. 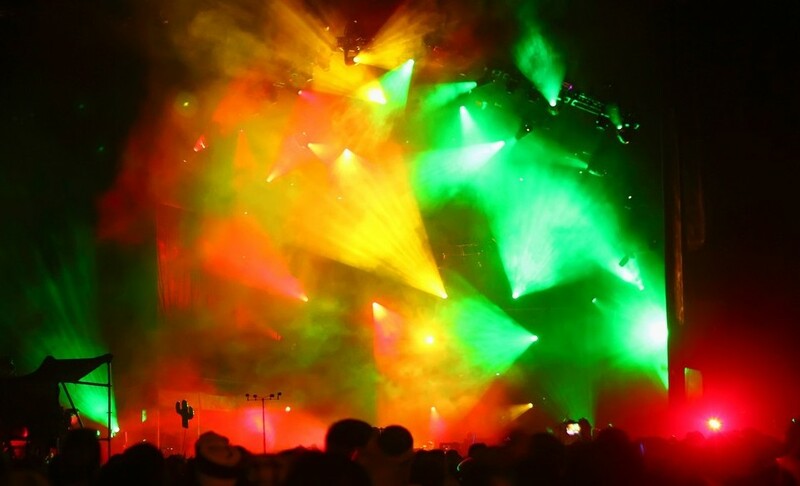 Atlantic City’s City Council has already approved festivals for June 15-17 and June 24-25, and the mayor alluded to the former being a “jam band” festival that is expected to attract 30,000 fans. With Starr-Hill, Coran Capshaw’s sister company of Red Light Management, slated to throw these events (the other of which, allegedly, features a “rock band”) it is but a forgone conclusion that Phish will play these dates. Further confirmation comes in the fact that that the Dave Matthews Band, who brought their Caravan tour to Bader Field last summer, will not be returning for either of these dates. Many fans have taken all of this info, put one and one together, and booked hotel rooms for this weekend. This run could conceivably come at the end of a short run in May and June (with Bethel rumored for Memorial Day weekend) and, if so, AC would be a great place to end a tour. As I discussed last week, three-night stands were Phish’s bread and butter last year, and another trifecta in AC—like Halloween 2010—seems like a great time for all. With all hotels in close proximity to each other, the post-music part of this “festival” would take place in the casinos and hotels up and down The Boardwalk rather than in campgrounds and RVs—a different mid-summer twist. And if you poll the fan base, I think you’ll find few fans who didn’t have a blast in Atlantic City last time around, so here’s to hoping this one comes to fruition! Powered by WordPress v 5.1.1. Page in 1.235 seconds.